“The clothing is coming to you genderless and you can do what you want with it” says Jenny of Veer NYC as she and Allie sit across from me on a bench in the back patio of a cute little cafe in West Village. Between our mutual frustration with the term “boyfriend jeans”, fascination with drop crotch pants, and confusion about why most clothing comes in binary options, my interview with the Veer ladies felt more like an afternoon hang out than work for my blog. So tell me how Veer started. Jenny: We kind of wanted a career change and at the same time we had started really getting into wearing menswear but were having a hard time figuring out how menswear would fit us and what brands to go to. So we kind of started by building ourselves up on social media. Beside our intern this summer and our web person, it was really just the two of us. What does ‘Veer’ mean and how would you describe your line? Jenny: It stands for all who stray from the main path. “veer off”. We don’t like to play up on either end of the spectrum. We just want to find that actual gray area, whether that’s taking menswear and not calling it menswear anymore or womenswear that’s not really feminine. I mean with menswear, you look at this stuff and you’re like well, why is this menswear? Allie: We were shooting everything [for the website] with a model, and she would walk on set and be like this is kinda cool and we’d be like you know that’s menswear right? And she’d be like oh cool I can totally wear this. But we also carry a couple brands that are unisex like Muttonhead. What’s your favorite piece of the collection? Allie: The Pullover Parka. It has a nice leather detail on the hood. It’s really nice thick material and I’m so excited to wear it this fall with jeans and boots. Jenny: The Diver Jacket. This is actually from an exclusive line just for us, and it’s designed after a scuba suit. It’s really thick and nice. And it’s menswear! If you could dress anyone, who would it be? What does androgyny mean to you? 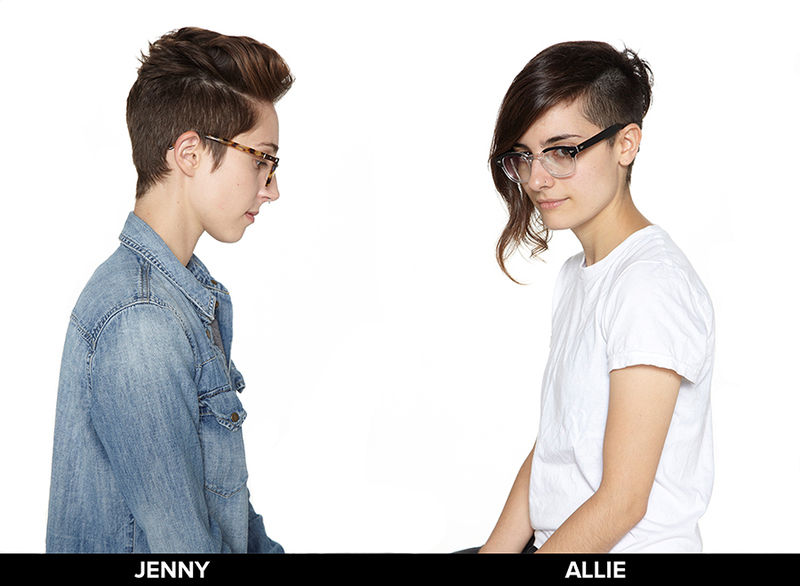 Jenny: Language is a very tough thing for us, but we’ve found androgyny to be the best term, at least right now. We would love for clothing to just be clothing. To some people androgyny means a mixture of both ends of the spectrum. To us, it’s neither. With our clothing, we don’t want to tell someone what they identify as. If a feminine female wears something from our line, that doesn’t necessarily mean that she now identifies as androgynous or that she should feel any less feminine than she did before. When we photograph our models we cut out their face and hold their hair back because we don’t want to provide any predispositions. The clothing is coming to you genderless and you can do what you want with it. Jenny: We’ll be doing some pop-up stores. We’re also working on lots of cultural content. We have a lot of interviews and photo and video shoots coming up. We’re very excited!